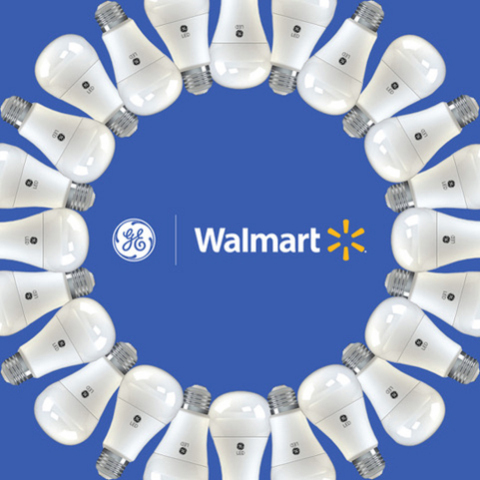 GE Lighting has helped pave the way to shave 1.2 billion kWh of electricity use in consumer homes by converting Walmart shoppers from traditional light bulbs to energy-efficient LEDs over the last two years. * Not only has this shift supported Walmart’s Project Gigaton, a Walmart supplier initiative aimed at reducing greenhouse gas emissions by one gigaton by 2030, the shift is also leaving a measured impact on consumer’s energy expenses. **Lifetime energy savings of GE LED bulbs vs. comparable halogen or incandescent bulbs sold at Walmart from 2016-2017.